While Chicago’s iconic Tribune Towers is undergoing a conversion from office building to condo tower, a 1,388-foot-tall steel and glass tower could sprout up next door. Tribune Tower’s owners, the Los Angeles-based CIM Group and Chicago-based Golub & Co, have revealed plans to build what could be Chicago’s second tallest skyscraper. After being sold in 2016 for $240 million to private developers, the top floors of the 36-story, Gothic Revival-styled Tribune Tower have been undergoing demolition since last October. While the building’s facade and main lobby were landmarked in 1989, no such protections exist for the interiors, and Solomon Cordwell Buenz (SCB) is overseeing the conversion of what was once offices for Tribune Media into 165 condo units. 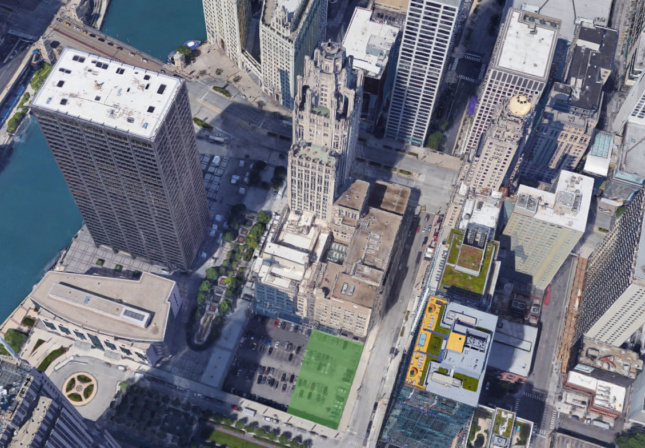 According to the Chicago Tribune, CIM Group and Golub have proposed developing a narrow surface parking lot to the northeast of Tribune Tower into a mixed-use skyscraper designed by Chicago-based Adrian Smith + Gordon Gill Architecture. As the Chicago Tribune notes, Adrian Smith is no stranger to building tall, having led the design team for the Burj Khalifa in Dubai and Trump Tower Chicago when he was with SOM. The new tower would eclipse Trump Tower Chicago as the second tallest in Chicago, as Trump Tower only tops out at 1,171 feet tall, and uses a spire to reach 1,388 feet. The current proposal would see the creation of 220 hotel rooms and 158 condo units, as well as 500 parking spaces spread across floors two through eight of the new tower. Alderman Brendan Reilly described the design as “thin and soaring” based on renderings he had seen. This thinness is likely a response to the protected Ogden Slip view corridor, which means that Tribune Tower must remain visible from Lake Shore Drive as part of its landmarked status. While preservationists have been questioning whether this new development, which would dwarf the 462-foot-tall Tribune Tower, is inappropriate for the site, the conversion of Tribune Tower itself has also drawn their ire. 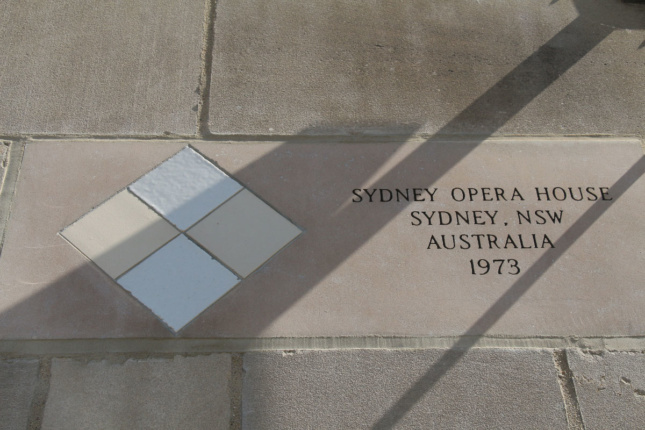 The building’s limestone base contains embedded chunks of famous buildings from around the world, and Alderman Reilly has stated that these panels will be relocated to different areas of the tower. Tribune Tower was built in 1925 following a widely-publicized design contest that awarded the $50,000 prize to New York-based Howells & Hood. 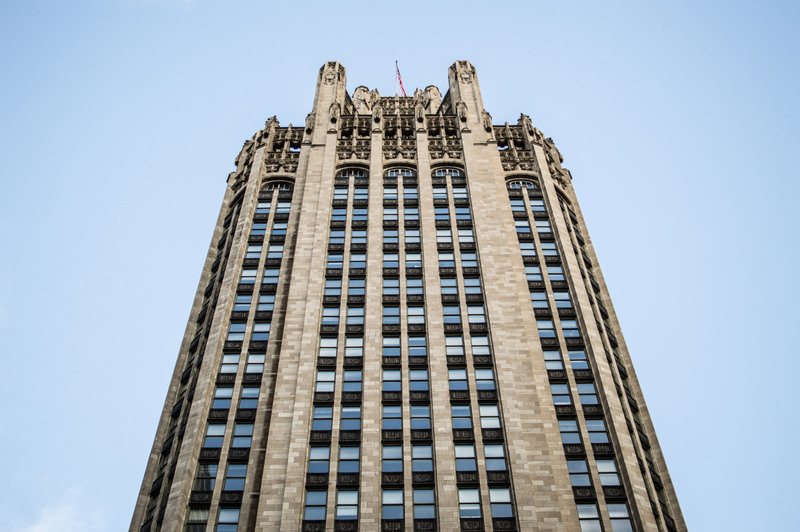 The tower’s Indiana limestone façade, gothic details, and crown composed of flying buttresses has made it an integral part of the Chicago skyline in the century since its opening. The conversion to residential space and the opening of ground floor retail is expected to finish in 2020; any construction on the adjacent lot is on hold until the Tribune Tower project is complete. The plans presented above are still subject to change, as the developers still need to procure funding and a rezoning of the lot before they can proceed.